Currently playing The Fabulously Fox Theatre, the new production of Fiddler on the Roof makes for an incredible night of song, dance, and tradition! Yehezkel Lazarov stars as Tevye, who captivates the audience from the moment the show starts with his fantastic rendition of “Tradition” alongside the rest of the cast. 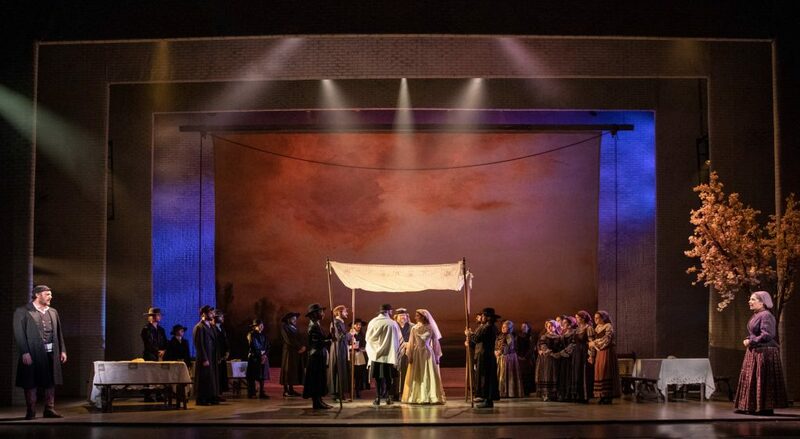 Lazarov’s Tevye is a more youthful, energetic one – yet still captures the wisdom of the character. This take is one that modern audiences will appreciate, while longtime fans of the show can enjoy an updated approach. 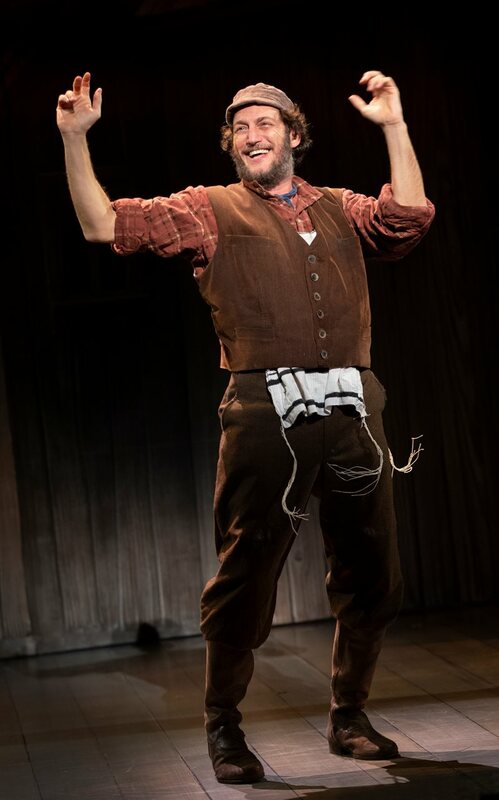 Tevye, a Jewish milkman, lives in the village of Anatevka during the early 1900s – controlled by Imperial Russia. He lives with his wife Golde (Maite Uzal) and five daughters: Shprintze (Danielle Allen), Bielke (Emmy Glick), Hodel (Ruthy Froch), Chava (Natalie Powers), and Tzeitel (Mel Weyn). Uzal excels at playing the matriarch who is all business, as she keeps her family in-line when it comes to responsibilities and traditions. She is firm in her beliefs and runs a tight ship – although her hard exterior is softened a bit during her touching number “Do You Love Me?” in Act II. All of the daughters are fantastic. Weyn does a great job of balancing her character’s love and respect for her father, while also following her heart. Powers’ character Chava faces a similar struggle, although her circumstances cause it to be met with much more opposition. The actor gives a raw and heartbreaking performance as Chava follows her heart as well. As the first number in the show states, Tevye and the village believe in God and their traditions above all else. Yet their traditions begin to be challenged as his eldest daughter, Tzeitel, rejects the matchmaker Yente’s (Carol Beaugard) choice of husband in the widowed butcher Lazar Wolf (Jonathan Mering). Tzeitel and her childhood friend, the poor tailor Motel Kamzoil (Jesse Weil), have fallen in love and want to be married. This sets Tevye off on a journey of questioning his traditions and what is most important. The show is packed with memorable songs, and ones you would know even if you’ve never seen the show. “Matchmaker, Matchmaker” was sung during a memorable scene in 1993’s Mrs. Doubtfire starring Robin Williams. “If I Were a Rich Man” was adapted into Gwen Stafani’s chart-topping pop song “Rich Girl” back in 2004. “Miracle of Miracles,” “Now I Have Everything,” and so many other classic numbers fill the show. And what would many of these songs be without the brilliant choreography by the legendary Jerome Robbins? 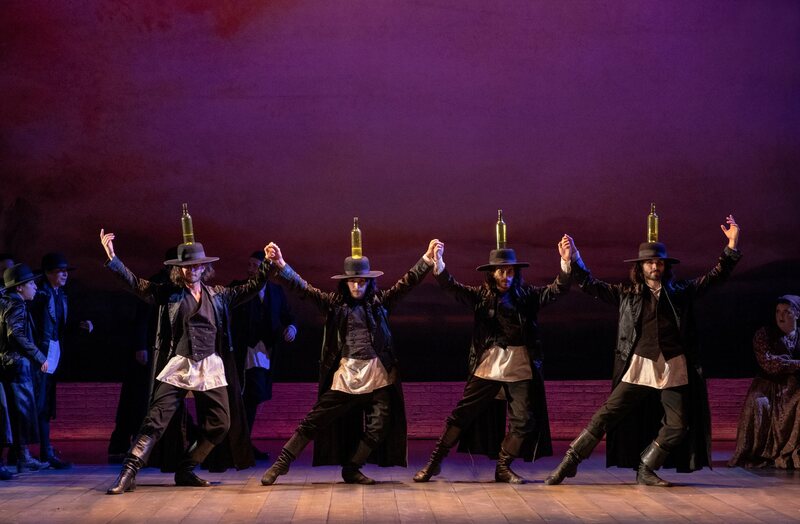 In this production, choreographer Hofesh Shechter has taken Robbins’ staging and updated it to create the perfect combination of homage and freshness. Shop-stopping numbers like “To Life” in the village pub, and “The Bottle Dance” are a spectacular sight to behold. Tony Award-winning director Bartlett Sher (2008 Broadway revival of South Pacific) does a terrific job of staying true to the original story and characters while making updates that keep the show fresh and better than ever. This is a fantastic introduction to the beloved musical, and is sure to please new and old fans alike. 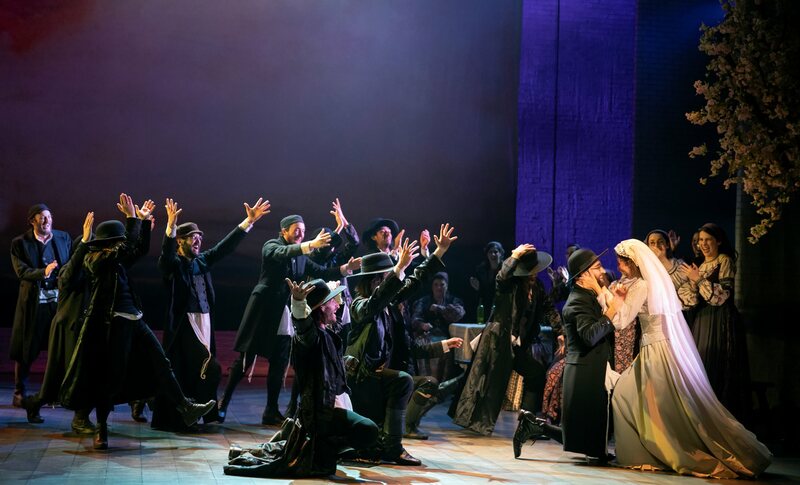 See Fiddler on the Roof now through February 10 at the Fabulous Fox. Tickets are available via MetroTix. For more information, visit the official tour site at fiddlermusical.com.